Want to game at -=[FDG]=-??? You can already do that, you do not need to be an -=[FDG]=- member to race or shoot on our servers, or join our Teamspeak. If you do want to become a part of an experienced team and really good bunch of people, you have come to the right place. 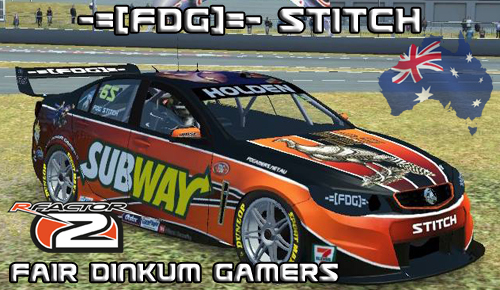 We welcome donations at -=[FDG]=- but the bulk of the server costs are taken on by -=[FDG]=- members. So be aware there is a small monthly financial commitment with this application. If you do not wish your application to be public, Simply copy the selection below and private message it to any -=[FDG]=- member. Game name you would like to use if this application is successful: -=[FDG]=-??? OK ... Stop lookin for the reply button, This is a closed thread. To create an application select all the text in between the two images and copy the text. Create a new post for each application. ONLY -=[FDG]=- members to respond to applications please. Last edited by -=[FDG]=-Stitch; 30th-August-2018, 08:40 PM.